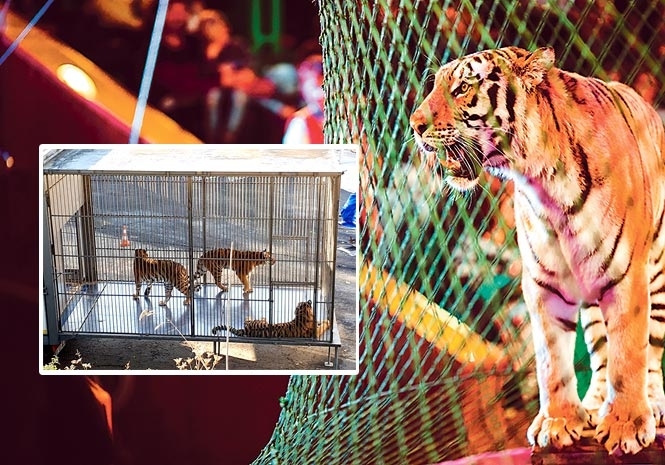 CIRCO PARIS has given three big cats to an Alicante rescue centre and pledged not to use wild animals in future performances. The group is reportedly the third circus in a year to voluntarily deliver big cats to the Villena centre, which is the largest of its kind for exotic animals in southern Europe. Specialists from the recovery facility, who undertook the delivery in the Salinas de Villena mountain range – between Alicante, Albacete and Murcia – have expressed shock at the condition of two lions and a tiger. The cats’ claws had reportedly been removed – a relatively common practice in the industry – while their cage floors were so slippery they were unable to walk. One lion’s tail was also reportedly missing, and handlers are alleged to have not had the required qualifications to care for the animals. The new facility, Primadomus, is the Spanish headquarters of the AAP Foundation. It opened its 24 big cat enclosures in May 2016. On their website, the facility wrote: “due to its vast space and natural environment, the terrain is very suitable for permanent housing,” noting that some animals are impossible to relocate. Their move follows months of negotiations between officials from the circus – also known as Circo Francia – the authorities and animal welfare organisations. Other animals previously with the circus – including a pony and bull – are reported to have been rehoused in other facilities.